Yesterday was the grand unveiling of the much anticipated Food District in Square One. A new 34,000 sq ft food destination to all the foodies out there. Square One is currently the third largest mall in Canada, in terms of square footage. As the mall topped a billion dollar in sales, it unveiled a luxury wing with high-end department giant Holt Renfrew and announced a redevelopment that will cost around $580 million. Part of the redevelopment would include expanding the north wing ( the former Target area) moving the Chapters on Rathburn Rd into the mall and adding The Rec Room, an entertainment complex by Cineplex that will sprawl over 44,000 square feet and offer two full floors of food and activities. It will host many restaurants, amongst them Three10. The Pie Commission – Some of the best pie was born here. Try the beef ‘n’ beer. Craft Chippery – Gourmet chips. MidiCi – Pizza the Neapolitan way straight out of LA. This is Canada’s second location outside of LA, and will offer pizza, pizza, and more pizza, along with antipasto, salads, meat and cheese boards and more! The District Kitchen – They will host cooking classes, dinner parties, corporate and special events. Sugar King Factory – Candyland! Arvinda’s – Pre-packaged spice Indian blends. Bake Three Fifty – Here you can build your own cupcake, milksake and ice cream sandwich. Yum! Tao Tea Leaf – Taste different tea flavours for half the year. They have over 180 varieties. Blackjack BBQ – Best in town Sweet Whiskey Pork Ribs & Dinosaur Beef Ribs. Pier 87 Fish Market & Grill – Fresh or frozen seafood anyone? Your next go to Fishmonger. Chocollata Gourmet – Brazilian tradition. Gourmet Brigadeiros with a ton of History. The Box Donut – Krispy Kreme who? Hale Coffee – Toronto-based specialty coffee roaster. BROD – Authentic Danish Pastry house . Blossom Moments – Beautiful flower shop. Kingston Olive Oil Company – Taste some of the world’s finest aged balsamic vinegars and extra virgin olive oils. The Macaron Boutique – The finest macarons. Order your towers now! Sweet Jesus – It’s finally at Square One. Amazing ice cream! Join the rest of the loyal customers by posting on Instagram with your favourite flavour. Village Juicery – Cold pressed juice spot. Plancha – Spanish cooking with style! Plancha means cooking on a cast-iron plate over an open flame. Seed to Sausage – Some of the finest meats with as little preservatives and additives as possible. This new expansion to Square One comes amidst all the new construction happening in the area such as M City, The Exchange District, and Avia. If you have a chance, check out the Food District this weekend. We anticipate a large turnout as it is opening weekend. Remember when we were saying that the City proposed some new developmental plans for downtown Mississauga? We also mentioned in numerous blogs that what the city was really missing was a new hotel and a lot of chic restaurants. Well, a brand new Toronto developer has taken this as a cue and is doing just that; building out a new downtown core in Square One, dubbed the Exchange District. The developer has set its sights on 3 acres of land that encompasses the site around 151 City Centre Drive. Currently gracing its grounds is a large commercial building with offices and a Tim Horton’s and Dental office at the bottom, along with a lot of parking space. The new plan for the site proposes condominium towers, international retailers, a hotel, casual and fine dining spaces, modern offices, accessible green spaces, and a public square. The renowned developer is Camrost Felcorp, who have developed buildings such as Marina Del Rey Towers I II and III, The Yorkville Plaza, iLofts, California Condos, Imperial Plaza, The Legends, Warehouse Lofts & many more. The site is to host 4 tall condominium towers of modern design upwards of 72 storeys tall. Some of the current renderings suggest completely square buildings with intricate designs offering 2,000 residences. The development will be adjacent to Square One Mall and will not only compete on a national level but global level in terms of luxury and design. The leading architect from IBI and interior designers are some of the finest in the industry and behind projects such as M3 in Square One. Mississauga is Canada’s 6th largest city. The Marilyn Monroe Towers have been the iconic buildings since they have been constructed and acted as Mississauga’s landmark. However, Projects such as M City and the Exchange District will add luxury and some new iconic towers to the city, taking it to new heights. Mississauga had a hard time competing against a city like Toronto. But once the vision of Downtown 21 becomes a reality, Mississauga can compete with not only Toronto, but cities like New York, Vancouver and London. The project is currently in the proposed stages, as soon as floor plans, prices and due dates are released, our team at MySquareOneCondo will keep you posted as always. If you are interested in calling the Exchange District your home please fill out the form below. Condos in the Square One area are valued at and around $600 per square foot. And given that they can rise or fall up to 10% condo owners are keen to maximize their investment. Of course, the traditional methods are obvious things that upgrade the value of your Updated kitchens and baths or an unobstructed view. However, there are small and surprising building details that can affect the value of your unit. Some things will lead you to say “of course!” while others you can only know from observing the building or living there. You bought a pre-construction condo a few years back and now it’s time to take possession. But before you get your keys, the builder gives you the opportunity to do a pre-delivery inspection of your unit. These inspections are mandatory and typically take no more than one hour with most properties. Here is what we came up with for a condo specific PDI checklist. Kitchen – Start your PDI in the kitchen & work your way room by room. In the kitchen, there are several things to look out for. 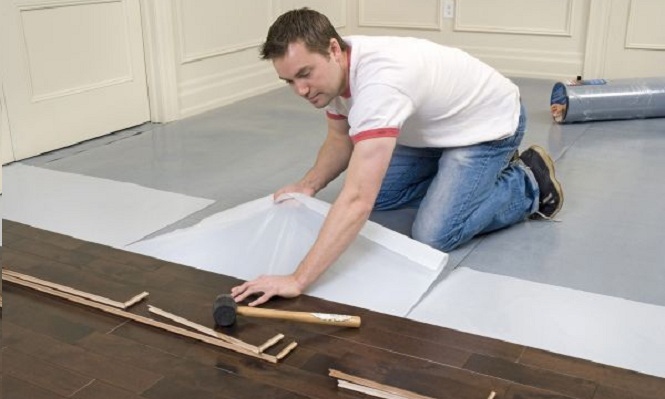 1st – Check the hardwood or tiles, depending what’s inside your specific unit. You want to make sure there is no damage to the plank or tile. If there is damage, then put a green tape sticky on the spot & get the inspector to note down the damage that needs to be fixed. 2nd – Check the countertops for any damage along with the backsplash. Again if there is any damage like scratches or chirps put a green tape sticky to the spot. 3rd – Check cabinets & drawers by opening them. Make sure all the hinges are properly secure, and that cabinets are properly aligned, open and close without difficulty. Check for scratches or any damage. 4th – Open each appliance and make sure that they are properly installed and in working condition. Check for any damage – dents, scratches etc. 5th – Check the sink and the faucet in the kitchen. Make sure that there is both hot and cold water. Fill the sink with water & make sure it drains properly. When you open the lower cabinet beneath the sink make sure there are no water stains underneath. This will tell you that the sink has been properly connected. Also, make sure that the dishwasher is connected. 6th – On the list are electric switches & lights. Make sure everything turns on and off and is in proper working condition. & check the entry door to the unit. Living Room/Dining Room – There are very few things to look out for here compared to the kitchen, bathroom & laundry room in a condo. 1st – Check all the light switches to ensure they are working and turning on and off. 2nd – Check the floors for any damage/chirps. Keep in mind that your floors should not make any noise when you walk on them. Make sure that the baseboards are properly aligned and that there are no gaps or damage to these. 3rd – If you have crown moldings, make sure there are no gaps, that they properly align and that there is no visible damage. Make sure that there are no scratches on the walls or that the paint is chirping. 4th – If your condo comes with a fireplace, make sure it is in working condition and turns on and off. 5th – Check the windows & balcony door that they open & close and that screens are properly installed. Make sure that they lock & unlock properly and check the balcony railing to ensure that it is properly secured. 6th – If you happen to have blinds/shutters in your unit, check that they open and close properly. You want to check that these are correctly installed as well. Master Bedroom/Bedrooms – Like the living room, you will want to check floors, windows, crown moldings & baseboards for damage. Check the trim & bedroom door to make sure there is no damage and that it opens and closes and that it is properly aligned. If you have a balcony door make sure it opens and closes. Bathroom – Your bathroom is just as important as your kitchen and consists of a few components. 1st – Are the tiles on the floor as well as in the shower or tub that you want to check for damage/chirps. 2nd – Check that the fan & lights are in perfect working condition. 3rd – When you look at the vanity there are a few things to look at such as the mirror to ensure that there are no scratches, damage or chirps, that the lights above it work. The sink & faucet should have hot water & drain properly. Watch out for water stains underneath the sink to ensure there are no leakages and that everything is properly connected. Ensure that all the cabinet doors and drawers open and close and that the hinges are correctly secured. 4th – Is to check that the toilet is flushing and that it doesn’t leak anywhere. 5th – Check the caulking around the sink & the bathtub and or shower. Test the shower head & drain. Assure that all faucets are working and that there is hot water and that the water drains. If you have a shower door; assure that it opens and closes and that it is properly installed. 6th – Open and close & lock the bathroom door and look out for any damage and that the door is properly aligned. Laundry Room – This is an important component of your inspection. Take your time to assure that it is done accurately and that you don’t miss anything. 1st – Make sure that the vent is going up and out of the unit. 2nd – take a look that the water is connected. 3rd – I recommend turning on the washer & dryer to assure it functions. 4th – Check the dryer & washer for any dents & scratches and open and close the door. Exterior and common elements – This is something that you do not have to worry about as this is the builder’s responsibility. Air condition/heating and Mechanical – Would just recommend turning on the unit. Most condos have AC on in the summer and heat on in the winter so you will not be able to test either the AC or the heat depending on the season. Closets – I would advise sliding the doors open & close to assuring they are working. If there is glass check for scratches and chirps or cracks and take a look at the closet rack installation. Pro tip – If floors are dusty make sure to note that on your PDI list as there might be floor scratches which are not visible until the floor is clean. Clicks here to know about 11 Tips Buying New Condo Mississauga. Over the past five years electrical cars have been becoming more mainstream, and slowly adopted by the masses. 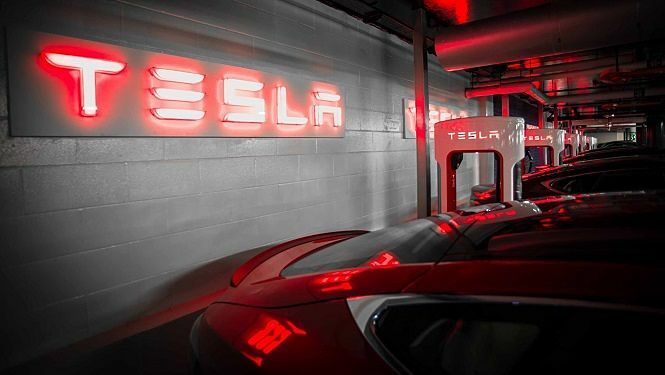 The primarily automotive leader in this space; Tesla, has been expanding its charging stations throughout the country. Currently, there are no Mississauga Condo buildings which offer electrical car charging stations. The closest ones are about 5KM away from the downtown core, as shown here. New condo builders like Pinnacle International have recognized this new trend and will offer buyers the option to purchase a charger for their individual parking spot. 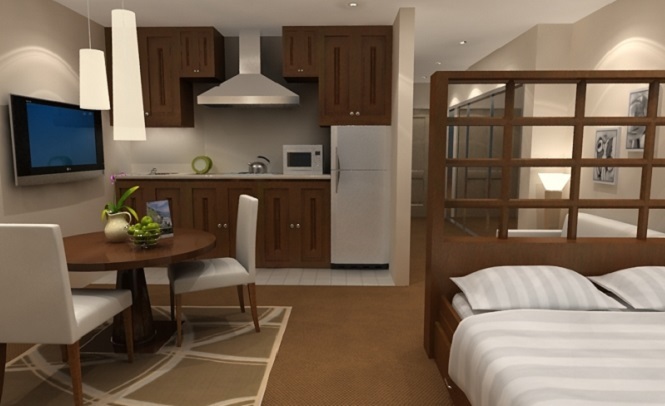 The first condo project to offer such an option is Amber condo. The cost for such an upgrade at the moment is $10,000. We do expect this number to come down in price as more and more builders adapt this practice. Aside from having a private car charging stations, we do anticipate that new condo developers will begin to add electrical vehicle chargers to some of the visitor parking spots found in condos. As a condo owner, you do have the luxury of living a nearly worry-free lifestyle, as the condo corporation takes care of most repairs for the building complex. In return, you as the owner pay a monthly “condo fee”, also known as “maintenance fee”. Typically speaking, the condo corporation takes care of maintaining the common areas, whereas you have the responsibility of maintaining everything inside your condo unit. Although there are not many things to maintain inside a condo, owners often forget about the few items which are part of their responsibility. 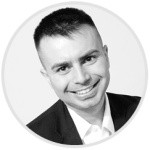 In this short blog post, I want to cover three of the most overlooked, and often neglected, responsibilities of being a condo owner. Having the chance to work with many condo buyers in the Square One area, I have noted that the majority of condo shoppers have balconies on their “wishlist”. Buyers believe that balconies are an essential part of any condo because it allows them to be outside without having to leave their units. However, are balconies really that important? Or are they simply an overrated feature of a condo? The good news is that pretty much every condo in Mississauga built after 2004 does come with a balcony. Unless you are buying an older condo, there is not much need to have balconies on your “wish list” as it’s a standard feature. Some older condos also have balconies, however, most of them have solariums, which are in essence ( den like rooms with large windows, positioned next to the living room). It’s no secret that condo builders are designing condo units smaller and smaller. A recent study showed that the average condo size has shrunken as much as 20% from what builders were offering a decade ago. The reason for this is simple; builders realized that in the same amount of space, they can sell a lot more units by making them smaller. Most people would argue that bigger is better when it comes to condos. As much as I agree that bigger condos are better than smaller condos, it is important to point out that smaller condos are cheaper to furnish and easier to clean. In this short blog post, I want to cover 5 cool tips and tricks I have made available to my buyers, who are looking to get the most out of their smaller condo units.